Teapot Inscription : calligraphy “静观” “悟道” "虚能引和,静能生悟,仰以察古,俯以覌今" , made by Qin Mo. 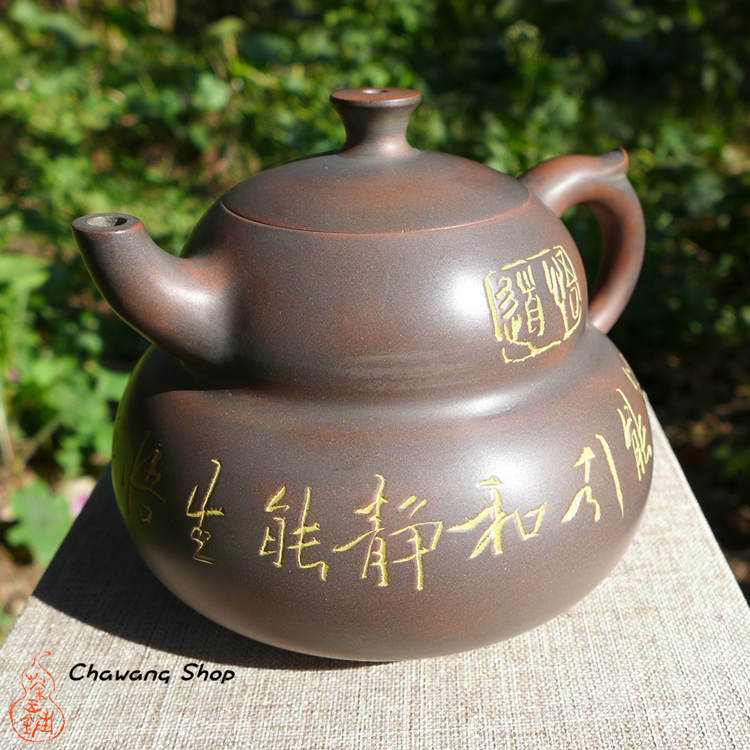 Info : Hand made teapot with precious calligraphy work created by the Guangxi folk arts and crafts master Qin Mo. Nixing teapots are very good for all kind of heicha, puerh and roasted oolong.